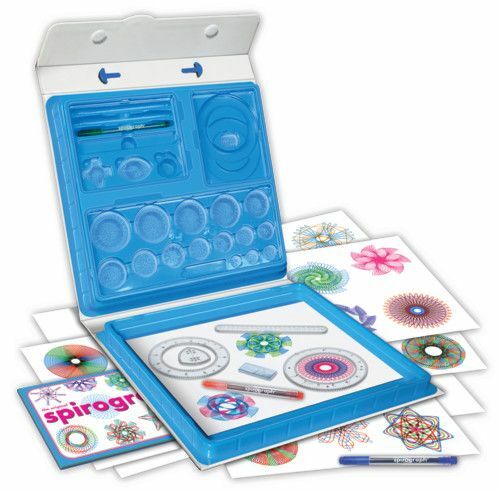 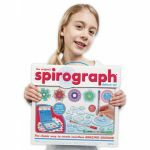 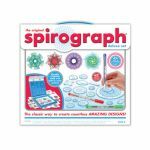 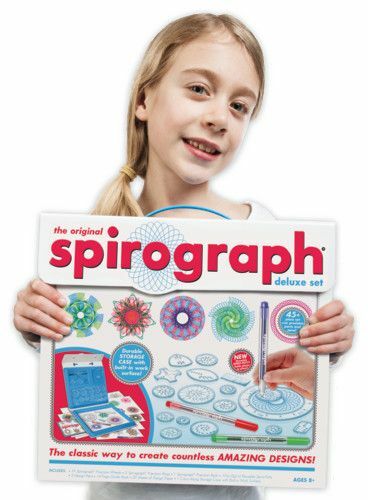 The Original Spirograph® Deluxe Set features all the iconic wheels and rings of the original, re-engineered and updated for today. The kit features a durable carrying case with snap-in storage and a built-in drawing surface. 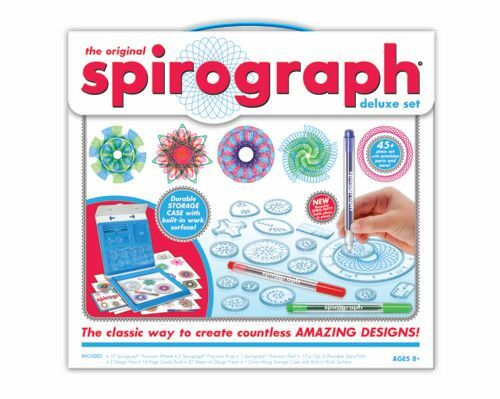 Also included 3 design pens, 20 sheets of design paper, and a full-color guide.